US equity indexes closed broadly mixed, sp +2pts at 2553. The two leaders - Trans/R2K, settled lower by -1.0% and -0.2% respectively. 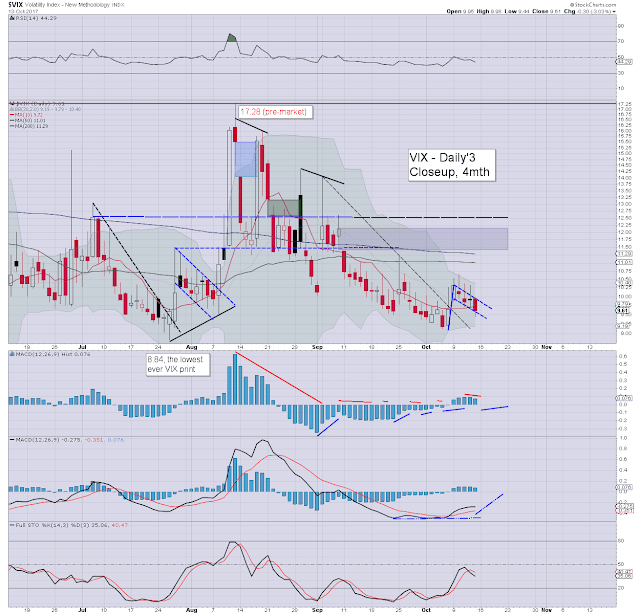 VIX settled -3.0% to 9.61. 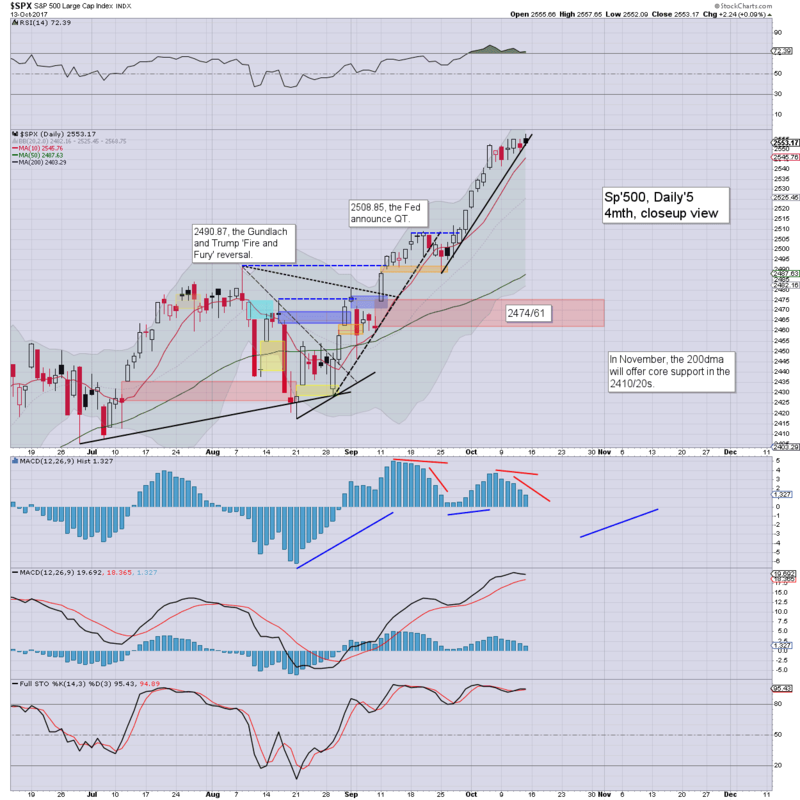 Near term outlook offers increasing threat of a natural cyclical rollover. A gap fill of sp'2474/61 remains a technical necessity. US equities opened fractionally higher, and it was enough to generate a quintet of index historic highs (the R2K was the exception). It was notable that the Transports saw a very significant intraday reversal, closing sig' lower, on what is key rising trend. With equities breaking new highs, market volatility remains very subdued, with the VIX settling the week in the mid 9s. Near term outlook is unchanged. The US equity market is due a 3-4% cooling wave, with prime target of sp'2474/61, before swinging back upward to the 2600s. The 2470/60s should equate to VIX in the mid teens. The key 20 threshold looks out of range for the remainder of the year. Appropriate skies for October Friday 13th 2017. The weekend post will appear Sat'12pm, and will detail the US weekly indexes.